THIRD year residency reaches its pinnacle during the four months of being a service senior. Under a General Medicine service are two or three first year residents, interns, and clerks, plus the second year residents who go on duty at the Emergency Room. The responsibilities are overwhelming. Aside from being a clinician, the Gen Med senior is also expected to take on administrative tasks, which include, among others, assuming primary care for patients previously handled by other specialties; providing clear-cut dispositions to patients; setting short- and long-term goals for problematic cases. March is the first time I'm taking on the role of a Gen Med senior. I'm working with Drs. Nico Pajes (first year IM resident) and Clare Enriquez (our Neurology rotator), and it has been a pleasure to struggle with them thus far. Every night I ask the Lord for wisdom. I pray for my residents that God continually sustain them. I also pray for our students: that they become battle-tested, compassionate, competent physicians in the future. 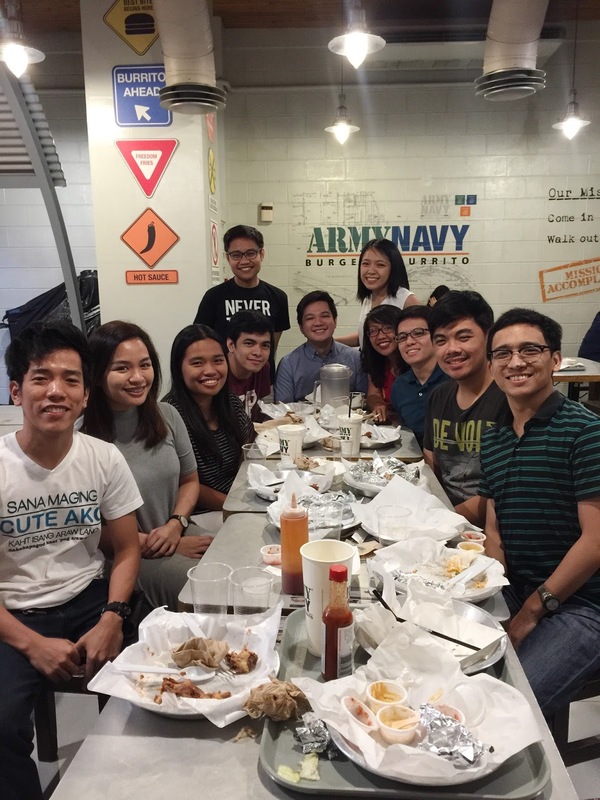 We had a service dinner last night, something that has become a tradition during the Ward rotation. With us were our interns, Chacha Mercado, Gerald (Baby G) Mendoza, Jeff Manto, Marz Marquez, Athan Lozano, and Joan Lampac. Two of our bubbly clerks also joined us: Ichi Nakamura and Carl Marquez. Hi Sir Lance! Thank you so much for guiding us during our ward rotation. We definitely learned a lot (and had fun as well) :) Admitting ulit bukas sir! See you around po!